Technology is moving faster than we can catch it. These advances are making what once was a dream, our new reality. One of those dreams come true is taking a commercial flight to outer space. 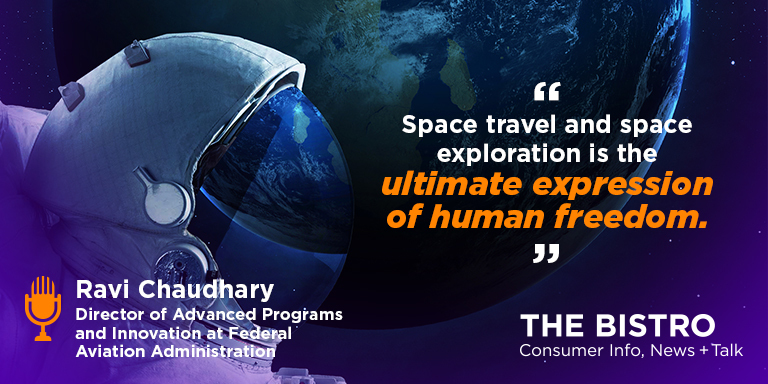 Ravi Chaudhary from the Federal Aviation Administration shares with us how space travel is closer than we think.